Click on the link above to review information about the “Walk for a Dog” program to help Home At Last Pet Rescue raise money. Instructions: (1) Under Play Store on your cell phone, search for the “Walk for a Dog” app (by WoofTrax, Inc.) and download the app for free. (2) Once installed, open the program, fill out the profile and choose Home At Last Pet Rescue as the organization you are walking for. (3) Fill out your dog information or choose the “Walk for Cassie” option if you don’t have a dog and save. Take your phone with you and start walking! Simply press the “Start Walking for …” button and the app will keep track of your walk. When your walk is stopped it is credited to your selected shelter or rescue. The more people walking for that organization, the more WoofTrax can donate, so please spread the word. Every walk counts, whether it’s a quick walk around the block or a leisurely three mile hike. The more people actively walking with the app, the greater the benefit for your favorite rescue or shelter. Amazon donates 0.5% of the price of your eligible AmazonSmile purchases to the charitable organization of your choice. AmazonSmile is the same Amazon you know. Same products, same prices, same service. Support your charitable organization by starting your shopping at smile.amazon.com or click the picture to the left. Fundinco.org – Do you shop at Amazon.com? If so, please considering shopping through Fundinco! The concept is simple! 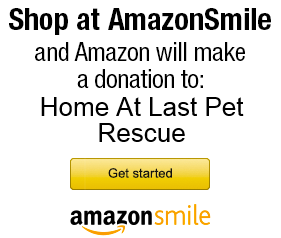 For every purchase that you make through Fundinco at Amazon.com, Home At Last Pet Rescue will also earn money! Click on the Fundinco icon at the left side of the page. It will take you directly to the Fundinco page and from there you can click on the Amazon.com link and start shopping while donating money to Home At Last. That’s it! 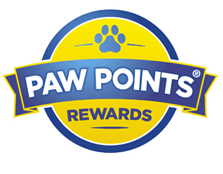 Fresh Step Kitty Litter Paw Points Reward Program: On specially marked packages of Fresh Step® kitty litter, there are “Paw Points.” They range from 20-50 points. All you need to do is cut out the section marked with the symbol shown and mail to us. BE CAREFUL, there is a code on the back of this symbol that we need. The more we collect, the more free kitty litter we can get for all our wonderful foster cats!